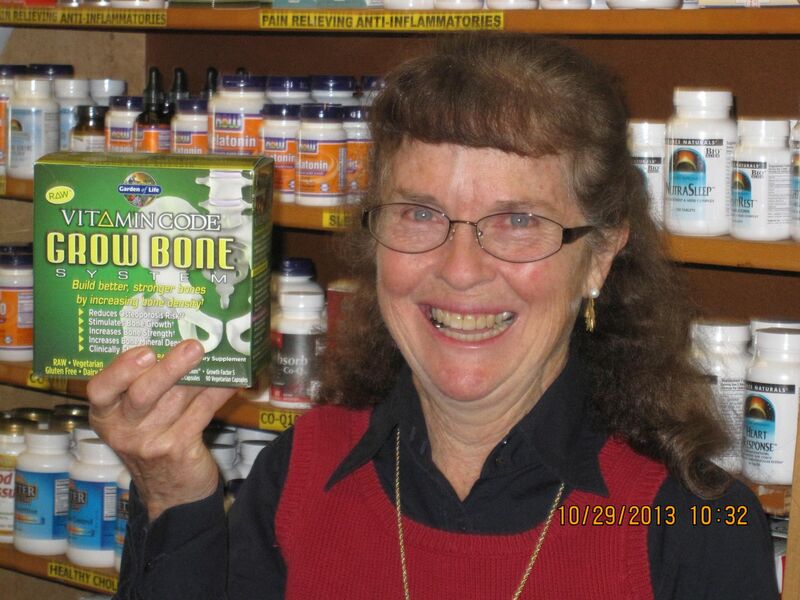 A Revolutionary Breakthrough in Building Strong Healthy Bones!!! In 2004 the U.S. Surgeon General released a comprehensive and scary report on the state of bone health in America. It stated that if we don’t take very specific steps to regain bone health as much as half the population will be at risk for osteoporosis. At Sunshine we see customers every day whose doctors give them advice to take 1200, 1500 or even 2000 mg. per day of calcium with little or no regard as to what source or the or the absorption rate of the calcium. The big risk of ingesting such huge amounts is that often excess is then isolated in the body & can become bone spurs, kidney stones or even contribute to build up on arterial walls. There are tribes in Africa where the women ingest a total of only 400 mg of calcium a day from their daily diet and yet show no signs of osteoporosis . The highest osteoporosis rates in the world are in north America and northern Europe where we ingest the most dairy food and supplement with large doses of calcium. The absorption rate of calcium is obviously far more important than the gross amount in our diets. If the Vitamin Code Grow Bone System doesn’t work for you, you’ll get double your money back*. Here’s how it works:First you need to get a full body DEXA scan done to assess your starting bone mineral density. Then take Vitamin Code Raw Food Source Calcium along with Vitamin Code Growth Factor S (they are packaged together in the complete Grow Bone System) as directed for a minimum of 180 consecutive days. Get a second full body DEXA scan done to measure your results from the Grow Bone Challenge. How Can Garden of Life Afford to Make this Offer? Plus, there’s more! If you purchase the full 6 months supply at Sunshine at one time, Garden of Life will send you a $50 rebate! This is the year for you make your bones healthy and strong. Most Amazing, the Price of the Complete Grow System is No More Than Some of the other Calcium Products on the Market!